Lately, I’ve been experiencing some issues with my knee. I would classify these issues as minor setbacks in terms of recovery, but major inconveniences for me. After teaching all day, my right knee is so sore. It swells up and is sore for most of the day. While I do remember to ice it when I get home, I need to start heating and icing it much more. Also, I need to remember to take my prescription strength anti-inflammatory medication everyday. Is that even safe? I need to ask my doctor. Also, my knee started this new annoying, and sometimes painful, habit of clicking and popping every time I straighten it, which is, to say the least, very annoying and frustrating. I notice it the most when I am doing leg extensions. So, for now, I was told by PT to only rehab my knee in the range of motion that doesn’t pop or click. Apparently, the popping and clicking is coming from beneath my knee, which is cause for concern. I do have a doctor’s appointment this Monday though, so I am making it a point to make sure that I talk to my doctor and ask him about these two things. I feel like I am no longer making any progress toward recovery. I feel like I am at stagnation, and possibly even regressing. Hopefully it is all either nothing, or just a minor bump in the road. For now however, I need to be extra cautious with my rehab and ice and heat constantly. In addition to the above mentioned complications I started to notice, I was hit with a flood of emotions the other day at the gym. While in the locker room washing my hands after my workout, I saw a girl walk in with a t-shirt from the St. Paul’s Harvest race that I was the overall female winner of last October. 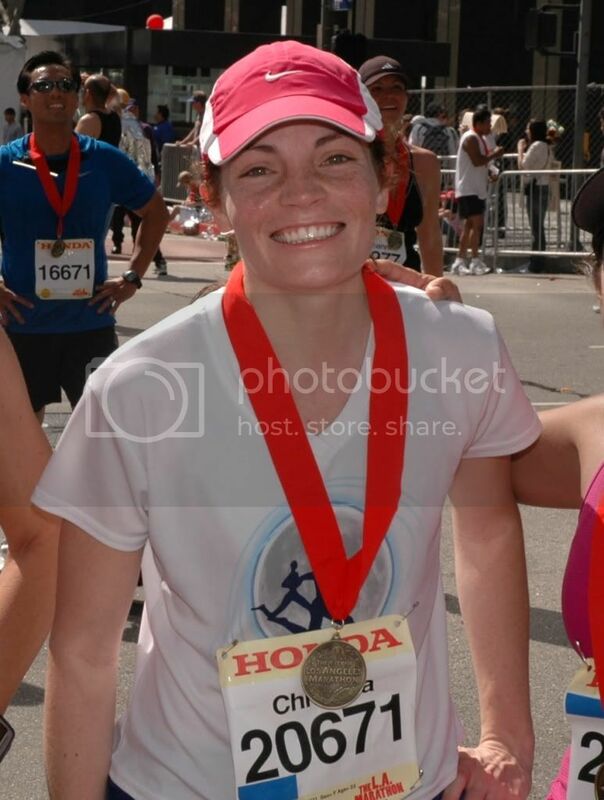 It was a small 10K race and my time of 45:19 earned me the title of Overall Female Winner. I remember that race like it was just yesterday. I knew I was in the lead. Actually, I held the lead female position for almost the entire race, but when I rounded the last corner and I heard the traffic directors mention that I was the first girl, it felt so great. I was so proud of myself. All summer last year, I trained so hard and I was at my peak performance. However, I digress. While in the locker room at the gym, I recalled this race, my win, my amazing (for me) time, the accomplishment I felt, the joy I felt, and every other feeling that accompanies running an awesome time (PR) and winning a race. All of those emotions, however, happened within a matter of seconds. Suddenly, a pang of despair hit me square in my chest. My heart ached and I fought back tears. Negative thoughts raced through my head. Thoughts about not ever getting back in that great of running shape again, thoughts of never racing again, thoughts of never running again. It was all too much. It really is amazing how the sight of one t-shirt, one symbol of something so special to me, can bring about such a raging storm of emotions. This entry was posted in Knees, Life. Bookmark the permalink. Hey Chritina,hang in there! I’m right there with you, as I’ve not yet been able to return to racing after some health issues the past few months. Limiting my time on the message boards and blogs has helped to reduce the discouragement and time spent dwelling over it. It’s so hard when I see others setting PR’s when you’re stuck on the sidelines. Just wanted to pop in and say keep you head up! You’ve made so much progress in the past few months, and exceeded many expectations. It WILL keep getting better. Thank you! Your kind words help.